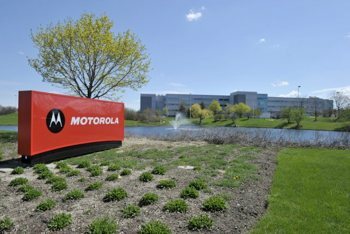 Motorola Mobility announced yesterday that it will be laying off 20-percent of its workforce and closing a third of its 94 offices worldwide as part of Google’s plans to re-invent the firm, change its business direction and return it to profitability. Two-thirds of the 4,000 job cuts will be from non-US offices, with Google estimating the severance packages to cost around $275 million. The closed offices will merge into those that remain in order to streamline the business and reduce overall costs, which have resulted in losses for 14 out of the last 16 quarters. “Motorola is committed to helping them through this difficult transition and will be providing generous severance packages, as well as outplacement services to help people find new jobs,” Google said in its 8-K Delaware court filing. Google says Motorola will shift its focus from building multiple low-end smartphones and instead concentrate on fewer “more innovative and profitable devices”. They will also exit from unprofitable markets, according to Dennis Woodside, Motorola’s new chief executive. “We’re excited about the smartphone business […] the Google business is built on a wired model, and as the world moves to a pretty much completely wireless model over time, it’s really going to be important for Google to understand everything about the mobile consumer,” he added. Motorola once dominated the mobile phone market but in recent years has fallen from grace, while rivals Apple and Samsung have continually expanded. Samsung, the world’s number one phone maker sold more than 93 million handsets (44.5m were smartphones) during the first three months of 2012, giving it a 25.4-percent market share. In contrast, Motorola sold just 9 million handsets, 5.1 million of which were smartphones. Google acquired Motorola Mobility Holdings last year in a $12.5 billion deal, which included the latter's 17,000 technology patents. They will likely prove vital in fending off an increasing number of lawsuits against its Android operating system. The deal closed in May following regulatory approval.